With the advent of New Exploration Licensing Policy (NELP) by the Government of India in 1999, the E & P activities were further intensified by award of new acreages to various national and international E & P companies on the basis of open bidding system. This has not only helped in induction of much awaited new technologies in exploration activities but also resulted in a spurt on number of new discoveries by exploring unexplored areas in the country. 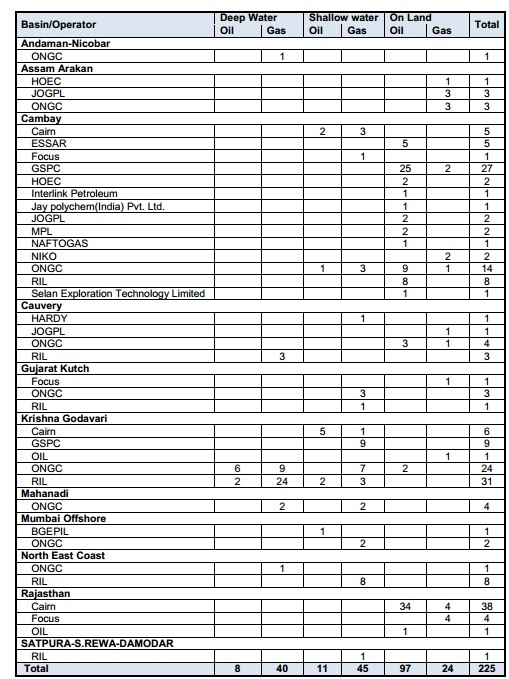 So far, a total of 225 hydrocarbon discoveries (116 Oil and 109 Gas) have been made under the PSC regime in 63 blocks. Out of these 64 (40 Oil+ 24 Gas) discoveries are already put on production/on the way to production.